Very good and helpful info. A lot of people have foot fungus and don’t even know it. A lot of people who have stinky feet don’t know how to cure it or even know that it is a fungus. I think a lot of people ignore the fact of having foot fungus because it is embarrassing. Thank you for visiting Carol! I’m glad that you found this information useful. Embarrassment is one of the most common reasons that people do not treat this condition. 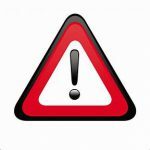 I am hopeful that by visiting my site people will get a good grasps of the symptoms which will encourage them to act fast in treating this condition before it gets out of hand! Thank you Carol! 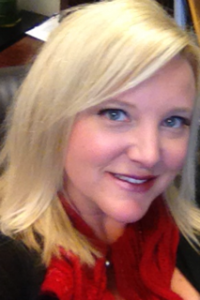 I try to provide my visitors with the absolute best products on the market! No need to waste money on devices that simply do not work! I love all the pictures you’ve included esp the last one, so we can see how it really works. 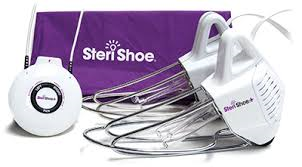 I’m suddenly obsessed with this idea of shoe sterilizers, but it’s good to hear your perspective as a Dr., having seen so many of the options out there. I’m glad this one gets your endorsement, my husband needs it like yesterday! I did attempt to show you how the product truly works. I mean… the idea of a shoe sterilizer can just sound weird. But… it definitely isn’t and worth a purchase in so many different ways! You can read more about the benefits of a shoe sterilizer here! 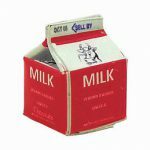 This product will NOT disappoint in this category. Not only myself, but my patients also just can’t rant and rave enough about this one! You don’t get that ozone-smell and your shoes come out just smelling so fresh. You also have the piece of mind that anything lurking in your shoes no longer exists! After you use this product, please feel free to come back and let us know your experience with it! I love for others to hear the positive feedback that this product deserves! 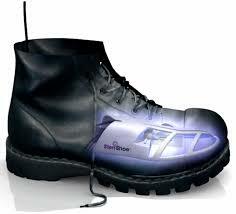 I did not know that ultraviolet shoe sanitizers existed! As a person who has a stubborn toenail fungus on my big toenail that will not go away despite several different treatments, I think I will look into the shoe sanitizer a bit more thoroughly. The footwear could very well be the reason why I have not been able to get rid of that ugly looking toenail fungus. Thank you for visiting my site Ramona! I am so glad that you found this article useful! 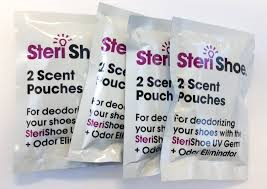 The SteriShoe UV Shoe Sanitizer is hands-down the best on the market for shoe sanitizing. 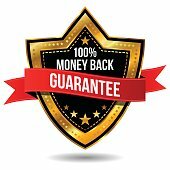 You will not be disappointed with your purchase! 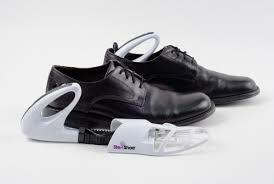 With this product, you no longer have to worry about co-contamination between yourself or others (if you enjoying sharing shoes as I do with my daughters). This could very well be the reason that you have been unable to rid of the unsightly toenail fungus! As for your toenail fungus, please look into the CureEx Laser, ZetaClear Nail Solution or Purely Northwest Foot and Toenail System depending on how you prefer to treat this condition. Cure Ex utilizes an at-home laser therapy, Zeta Clear Nail Solution includes both a topical and oral treatment and Purely Northwest Foot and Toenail System is purely topical. They REALLY DO WORK! Thanks again for visiting and please feel free to come back with any questions or comments. I truly am here to help! Just thought I would get my sock off and inspect my feet first. It looks like I could be a candidate for how to fix a not so nice looking baby toe nail. 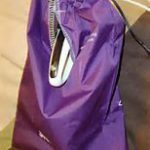 Certainly enjoyed your post on the SteriShoe UV Shoe Sanitizer Review and I am learning from the information that you supplied. Truthfully, this is the first time that I have become aware of the sterishoe-uv-shoe-sanitizer. Probably because I thought I didn’t need any help in that department because, as far I as I know, my feet are not causing any smell that voices out to me to put my shoes back on. 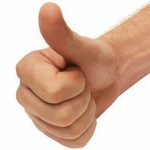 Is topical medication also part of the procedure for people with extreme case of toe nail fungus issues? Good morning Doug. 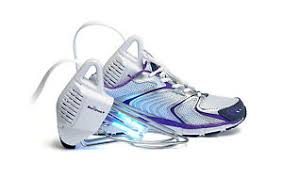 I am glad that you enjoyed my article titled “SteriShoe UV Shoe Sanitizer Review…”. My goal is to educate people on all of the products out there that can really help their feet. I am so sorry to hear about your “baby” toenails. Toenail fungus is such a cumbersome disease to fix… but it is definitely capable of being healed. To answer your question, there ARE topical ways to treat even the most extreme cases of toenail fungus. There are only THREE products that I recommend though. While the market is overwhelmed with products promising to cure toenail fungus, I can say that most of them simply do not work. Deciding between the THREE products that I recommend is based solely on your preferred method of treatment, but they ALL THREE have proven VERY affective in eliminating the unsightly problem of toenail fungus. I have seen them work hundreds of times amongst my patients. One option is the Cure Ex Laser which is at-home treatment via a laser light. Another option is a product called ZetaClear Nail Solution. With the ZetaClear, you apply both a solution topically AND via the mouth to cure toenail fungus. Lastly, I recommend Purely Northwest Foot and Toenail System which is solely a topical treatment. All THREE of these are awesome products that will really get the job done for you with no side effects. You could also use the SteriShoe UV Shoe Sanitizer in addition to whichever of these products that you prefer in order to avoid re-infection. I hope that helps! It is very important to treat the toenail fungus now… it may take it awhile, but it will definitely worsen if you do not. Should you have any further questions, please feel free to comment and I will get back with you. I truly am here to help! Have a great day!